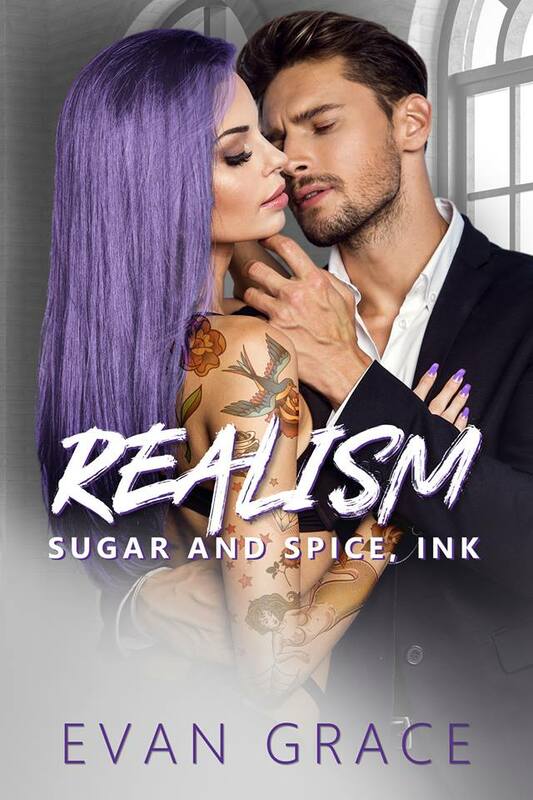 REALISM by Evan Grace is LIVE! One-Click Today or read in Kindle Unlimited! I have two rules no dates and no spending the night. I don’t have time to manage all the complications that come with relationships. And I sure as hell have no desire for any kind of commitment. My life is fairly uncomplicated, exactly the way I want it…until complicated literally stumbles my way. Britain Lancaster. Clumsy, plain, inexperienced, and the type of woman I tend to avoid. Unfortunately for me the universe seems to put her on my path around every corner, forcing me to notice her. To look at her. To really…see her. Pretty soon the universe no longer has to go through all the trouble sending her my way since I find myself looking for her, wanting to get to know her. And the more time I spend with her the more I realize that she’s everything I’m not. Now I can’t get her out of my head. I want her in ways that could ruin her, taint her, break her, and I can only hope she’s strong enough to survive this. What's not to love when it comes to SUGAR & SPICE? 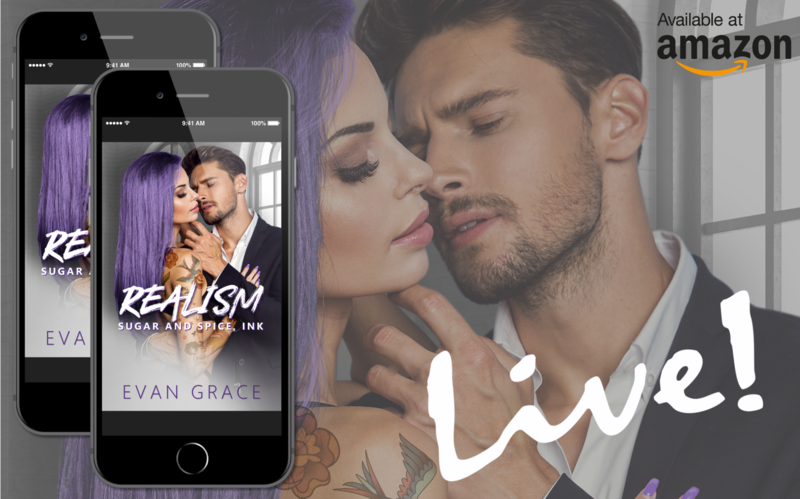 Evan Grace's newest release is anything but ordinary. It's as sweet as pie, with a tad bit of heat for the spice. I loved the whole aspect that Grace used when it came to both the main characters being single parents. I loved how Mona and Joaquin were complete opposites, and I mean complete opposites. Sugar & Spice was a sweet light read, that had realistic expectations. These characters, including their children really grabbed my attention from the start. I also enjoyed the side characters, and am hoping for their stories in the future. It was a pleasant surprise to see a woman who was more of a dominant character, than the lead male. It made the story unique and different than the average romance. Overall, this story was well written, with a great story line. Mona. Gotta be honest she kind of scares me. Haha. She is most definitely not your average heroine. She has a strong personality, that shines through her purple hair and beautiful tattoos. She is a very expressive person who enjoys the freedoms of creating beauty in different things such as paintings, even tattoos. She is an amazing sibling and an even better mother. Joaquin is a definite alpha. He kinda comes off as a stuck up *****. He is this no nonsense broker, who doesn't have time for pettiness. He is bossy, but educated. He's not this egotistical person who shows off his money, and or family either. He is a single father, and a dang good one at that. His son is his heart. When Mona's daughter Iris and Joaquin's son Max get into trouble together at the kiddie college, the stars align. But is the outside forces too much for Mona and Joaquin to handle?